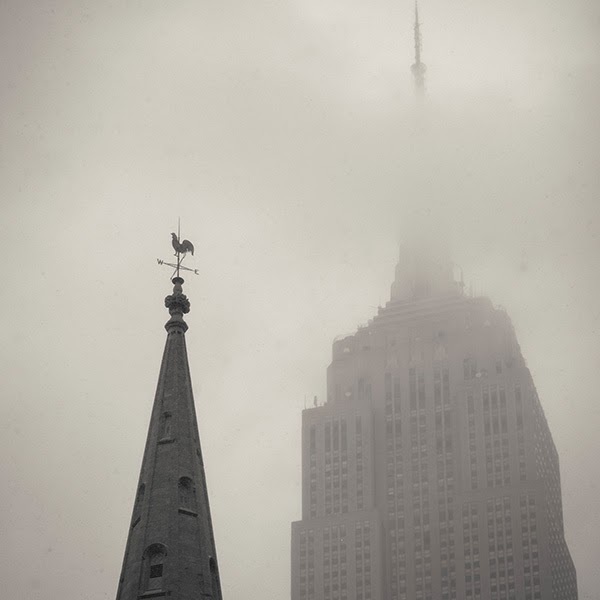 Seems like all I do lately is take pictures of New York in inclement weather. We had a slight fog this morning with light falling snow, a perfect opportunity to try out the new weather resistant Fuji X-T1. Good thing it is weather resistant. 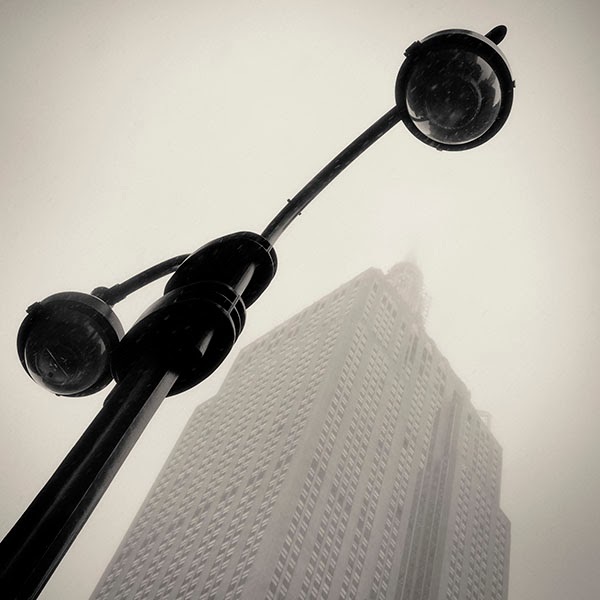 Last time I was out in falling snow with an X-E2 I trashed the camera with some water damage. 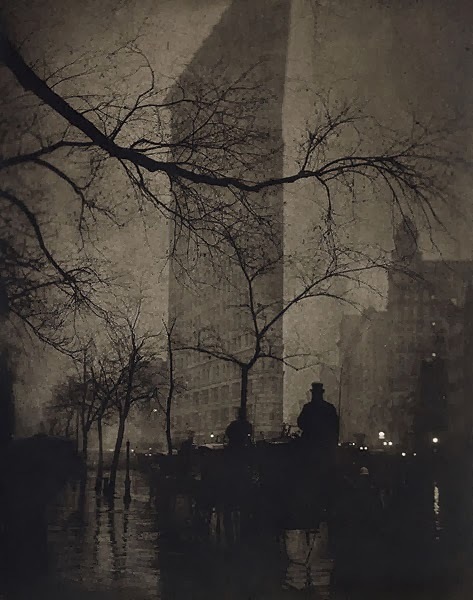 Of course the scene today of the Flatiron Building with the mist and light falling snow reminded me of the famous Edward Steichen version of this same scene taken from almost the same angle in 1905. I couldn't resist doing a similar version with the X-T1. 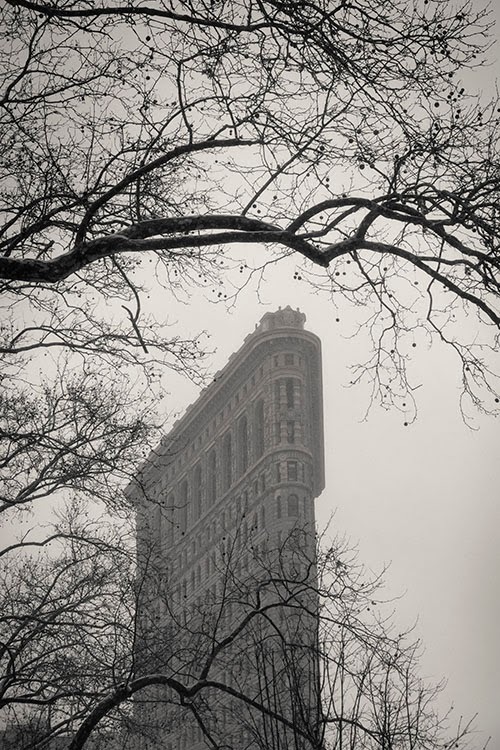 My "homage to Steichen" of the Flatiron Building taken with the Fuji X-T1 today in the mist and snow. 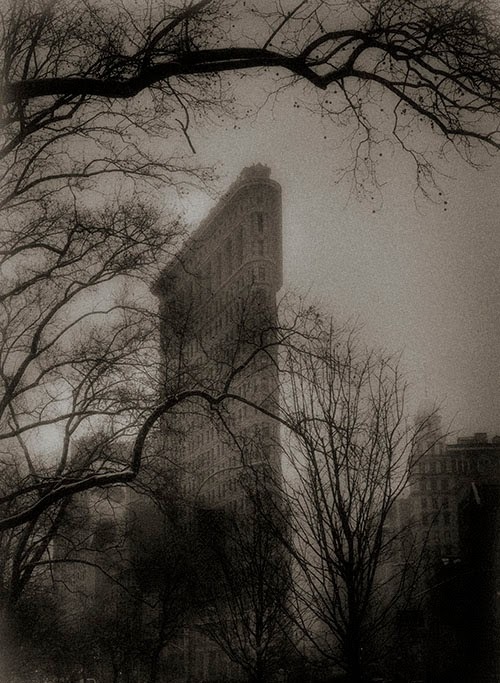 Famous version of the Flatiron Building photographed by Edward Seichen in 1905. My favorite part of this image has always been the silhouettes of the top-hatted hansom cab drivers in the foreground. The scene will never be the same without them. Love the time travel shots. I can't wait to hear your thoughts about this camera.